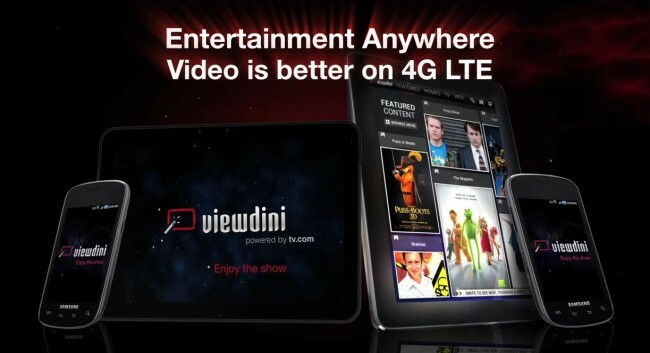 A week ago, Verizon introduced us to their latest video streaming portal called Viewdini. For 4G LTE customers, this app is essentially your one-stop shop for all things video-on-the-go. While away from a TV, Viewdini allows you to browse through content from all of your favorite spots including Netflix, Comcast XFINITY, Hulu Plus, TV networks etc. and then tells you if the content is free to consume or if it will cost you. You can then choose to watch it and the app will redirect you to the proper website or app for consumption. While I’ll admit that the app looks nice and is easy to navigate through swiping gestures, doesn’t this seem like a direct slap in the face to anyone on a tiered data plan? Streaming video is the #1 data crusher, so what better way to force you to that 2GB limit than by recommending you stream a bunch of content. /s.